My favourite season, spring is here, bringing with it a feeling of out with the old, in with the new. During this season, I always opt for foundation that reveals a matte, radiant complexion that shakes off the oily-ness that happens when you spend time in the sun. 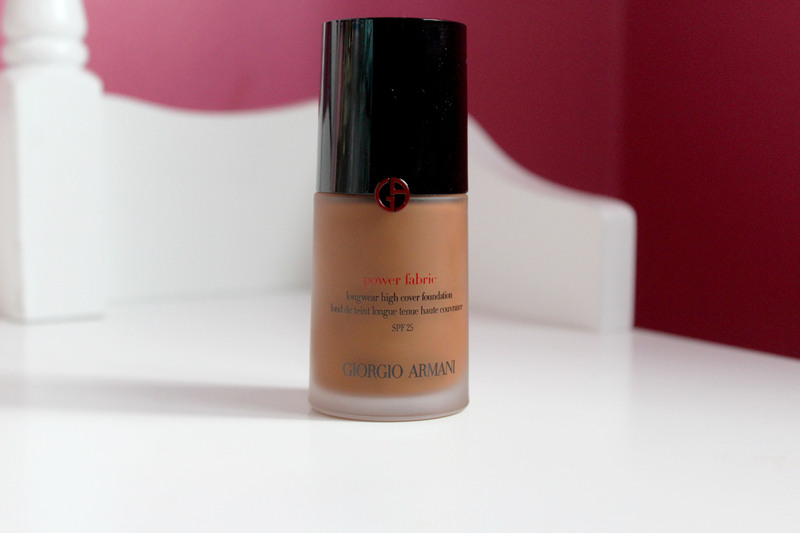 As a huge fan of trying a different foundation, the latest Armani release went straight to the top of my review list when it hit the stores. Admittedly, I’ve never purchased any foundations from Armani, except for trying out the Luminous Silk as a tester. Before stepping into Selfridge, I remember hoping and praying that the brand has incorporated a wide range of shades for black women and that it’s the perfect match for our skin. Much to my surprise, I was pleased with the result when I tried it on my skin, then proceed to pay and bring it home. On my train journey to work, while touching my face, I realised my skin felt incredibly smooth, with a second skin finish result as advertised in their description. As a girl who applies moderate makeup, this foundation is a game-changer, providing excellent coverage while feeling light on the skin making it buildable for those that love the heavy look. Inspired by a combination of two iconic Armani formulas, Maestro Fusion Makeup, and Eye Tint, it created high quality, suspension of pigments that melts into the skin blurring out any imperfections you want to hide in a subtle matte yet luminous finish. With summer around the corner, I can pump a 5p amount onto my skin, and rely on this foundation to give a long lasting effect. That said, the undertone of the foundation threw me off, as I wasn’t expecting a high volume of a red undertone, making me fearful when using it for the first time without the Selfridges lighting. As soon as the foundation set, the shade was perfectly fine. Warning: a makeup product that works for me might not be a great match for you. I advise you to try testers, formulate your opinion on it before purchasing the product. There’s nothing worse than spending your hard money on a product that doesn’t fit it’s advertised descriptions. As for me, this product is a win. Should My Friend’s Friend Be My Friend, Too?